A new application called PhotoMath is making the rounds this morning, as it is now available for iOS and Windows devices. Sadly, it won’t launch onto Android until sometime in 2015. But until then, kids and adults of all ages who struggle with math can look forward to its release, as the PhotoMath app is set to do all of your homework for you. The app could not work more simply. 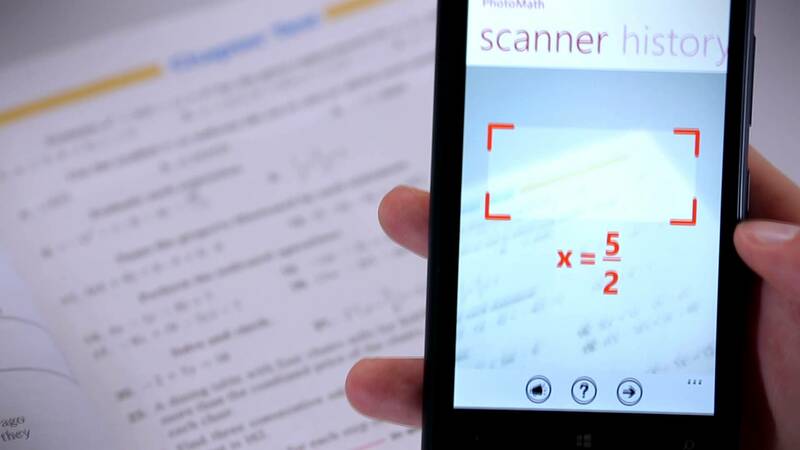 If a math problem is written on a piece of paper, just point your camera at the problem, then PhotoMath will solve it instantly on the display. Not only does it show you the answer, but you can have the app display exactly how it got to the answer, breaking down the steps it takes to solve it. So, in some way, at least it can be a teaching tool with that feature. While many problems could arise from an app like this in the classroom, it will be up to the schools and teachers to be more vigilant when it comes to students and cellphones. Will every child download this immediately? Yes. Will this app be the bane of every teacher’s existence? Undoubtedly. Tuesday Poll: Nexus 6 on Which Carrier?